A young woman walked by and changed the words on his cardboard sign. Many coins were soon heard being dropped into the blind man’s pencil can. On Parenting: The key to truly enjoying parenting is to understand that—although you can control children—you cannot change them. So what do you do? You stay in authority but without using coercion so that relations remain positive. You remain in control by the questions you ask. I’ve heard people mention that consequences can be set up with students ahead of time in the Raise Responsibility System (RRS). I find this confusing because I remember reading in Dr. Marshall’s book that he thinks it’s counterproductive to tell students about consequences ahead of time. Can you explain? 1. Have the mindset of raising young people to be secure yet empowered to have wings. 2. Realize that every time you do something that a young person can do, you are depriving that person of taking responsibility and developing positive self-esteem. 3. Understand that if you want a young person to be mature, you must ask yourself if what you are doing is in the young person’s best interest or is something you want because it feels good for you. 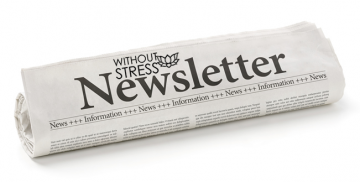 Having become too long for quick reading, my monthly newsletter has been revised. Former editions included topics of Promoting Responsibility, Increasing Effectiveness, Improving Relationships, and Promoting Learning. 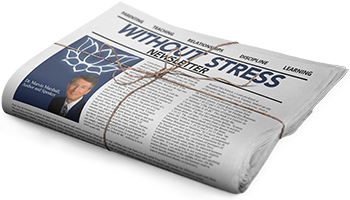 Articles and suggestions on these are still included in my blogs, menu bar links, articles, and books on my website, WithoutStress.com. No one has an inherent desire to obey—to be told what to do—not even children. However, when responsibility is promoted, obedience follows as a natural by-product. When raising and disciplining children, many teachers and parents rely on rules. They devise rules for homework, rules for chores, rules for behavior, and so on. In practice, however, the use of the term “rules” is often counterproductive. Rules are used to control—not inspire. Although essential in games, rules are counterproductive in relationships. Offering choices is quite easy since choices are always available once you consider that not making a choice is also a choice. 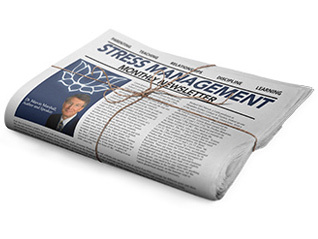 How do you deal with the impulsive students? 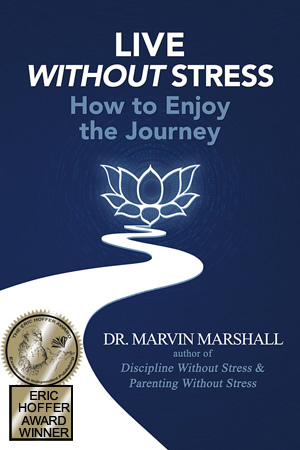 The eBook version of LIVE WITHOUT STRESS: HOW TO ENJOY THE JOURNEY will soon be available online at Amazon’s Kindle store for $9.99. Comments from people who have read the draft are available. To celebrate the upcoming holidays of gratitude and giving, I have set aside a limited number of books. I am offering both my hard cover education book and my hard cover parenting book at substantial discounts: the education book of $39.95 for $19.98 and the parenting book of $29.97 for $19.97. Act early before supplies run out: Piper Press. PiperPress has been updated so viewers can now easily see the FREE downloads. Growth is its own reward. Success in life is not in knowing the right answer; it’s in knowing how to ask the right question. A failure is just a lesson to learn for the next round.